Important: What follows is not a recommendation to buy or sell RIT Capital Partners. I’m just a private investor, storing and sharing notes. Read my disclaimer . Some say it’s harder to keep hold of serious money than to acquire it. They tend to be very rich. The rest of us would dearly love to find out! You can’t argue with a 200-year history of making money. I don’t understand why someone would back the ‘black box’ investing of a newbie billionaire like Bernie Madoff , the alleged Ponzi fraudster, who apparently discovered the secret of making steady 15% returns but wouldn’t tell anyone else. When today’s fly-by-night financiers  are long gone you can be sure the Rothschilds will still be in the game. While Rothschild conspiracy theories abound as a result of their success, I say good luck to them. In fact, if you could only choose between reading Monevator  or a blog written by Jacob Rothschild (aka the 4th Baron Rothschild) I’d recommend reading Rothschild. Forget Rich Dad, Poor Dad – his blog would be more like Gazillionaire Dad. I can’t point you to Jacob Rothschild’s blog, but I can tell you how I invest some of my money right alongside his own. If you’re going to put your faith in someone (despite the evidence that active management under-performs) then why not a Rothschild? RIT Capital Partners (Ticker: RCP) is of course no mystery fund – it’s the UK’s largest investment trust. But not every UK investor knows RCP is the personal investment vehicle of the Rothschilds. Reminder: An investment trust is a listed company that makes investments in other companies or assets. You buy its stock just like any other share, with the price rising and falling according to the performance of its underlying assets and (crucially) investor sentiment towards management and the market. Investment trusts can trade at a premium or discount to their assets. A quick glance at the major owners of RIT Capital Partners’ shares , as provided by the company, clearly reveals the Rothschilds’ interest, with chairman Lord Rothschild heading up ownership with a 17% stake. 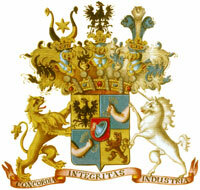 Founded in 1988, the link was originally more clear; RCP started life as the Rothschild Investment Trust. It was initially set up to help shepherd the Rothschild family fortunes and boasts an excellent record, with its performance over the past few years far outstripping the UK market. Remember my opening comments about wealth preservation? In the past 12 months RCP has lost 15% of its value, versus 30% for the FTSE tracker. The shares hit a record high of 1200p in mid-September 2008, just before the truly savage market sell-off. Until then RCP holders had sailed through the bear market unscathed, thanks largely to the company steadily selling down its holdings in equities since 2007. I’m comparing RCP with the FTSE 100 because the latter would be an alternative home for many UK investors’ money. However the investment trust is actually more exposed to dollar-denominated assets (25%) than sterling (21%), with Euro-denominated assets coming in third (18%). A more representative benchmark would be a World Index, but even that hardly captures the scope of RCP’s investing. Many global investment trusts say that sort of thing, then follow the herd. RIT Capital Partners makes big and small bets across a wide range of classes. As you can see, the company’s money is spread over a wide range of classes – but it’s the 20% holding in unquoted investments that jumps out. These are investments in private companies or alternative assets that aren’t listed on any market. They are akin to private equity deals, where the investor puts money into a company after agreeing to buy a stake, and then sells on that stake later, either to another investor or, if the company has floated in the meantime, to the market. To give you a flavor of the wide diversity of RCP’s unquoted assets, they include a big stake in The Economist magazine, an investment vehicle established to buy up Brazilian farmland, and until recently an email security company called Messagelabs, which has since been sold for £28million, or nearly six times RCP’s initial investment. These unquoted investments are a real attraction to me as a holder of RCP, as it’s hard to diversify into these assets as a private investor. They also have the affect of smoothing RCP’s net asset value, since their price doesn’t oscillate with the market. The price put on unquoted assets will be an estimated value (also known as a guess). In contrast, with quoted investments you always know the price in the market, so you can be specific about their value. What about RCP’s management team? I’m serious! The whole point of my investing in RCP is to follow that famous Rothschild nose to the money. It would be contrary for me to read the bio of a key board member and suggest I know better, given that part of my reason for investing in RCP is to benefit from Rothschild’s judgement. It’s rare for me to invest like this – I generally shun managed funds – but most investors unthinkingly hand over investment decisions to managers all the time. At least with RCP, you know Rothschild’s money and family name are on the line as well as your own. You don’t buy RCP for an income stream, with a dividend of just 0.5%. Capital growth is the aim here. The 1.38% total expense ratio is bearable. Although much higher than a typical index tracking fund , it’s not insanely high compared to the greedy managed funds out there. Again, I’m banking on Rothschild to screw down expenses. Is now a good time to invest in RCP? RCP greatly increased its holdings in cash and government bonds in the latter part of 2008. It has been selling out of holdings in managed funds to do this. …increase in cash, government securities and money market fund balances from £350.2 million at 30 September 2008 to £515.9 million at 31 December 2008. RCP’s Net Asset Value is an estimate from the company from two weeks ago. The real value will be different, but I wouldn’t expect it to be hugely different given markets since then. The shares were trading at a premium of 10%+ a few months ago, having gone as high as 25%. Indeed, RCP has traded at a premium for long periods. Today they’re on a 14% discount. If we look at the fall from around 1200p back in mid-September to today’s 866p, we’re in part seeing the result of RCP moving from a premium to a discount. Its NAV – the value of the underlying investments – has fallen far less. Another reminder that it’s always better to buy investment trusts on a discount . I personally think this is a good time to get into RIT Capital Partners, and I have invested about 8% of my portfolio in RCP at prices between £8-10. I don’t expect RCP to race ahead of the stock market again – in fact, I suspect it will be left behind if we see a big rally, due to its position in cash and government bonds. I also fear its historical outperformance will revert to the mean over the long-term; on the other hand, maybe it’s the UK equivalent of Berkshire Hathaway? I can only dream! As ever, you must do your own research. The evidence is most investors are best off regularly investing money into a tracker fun d for stock market exposure, but I do personally trade individual shares and write up my thoughts here. I’ll probably sell down my RCP holding if it moves to a large premium again, but I would expect to always keep a stake. I like that I invest alongside a Rothschild. Hopefully my bank manager will one day agree. Note: I take no responsibility for the accuracy of this post. Read my disclaimer .